Pioneers in the industry, we offer Replay Helmets such as 3 Aces ISI Full Face Helmet, Designer Full Face Helmet, Replay Leo Full Face Helmet and Designer Motorbike Helmet from India. 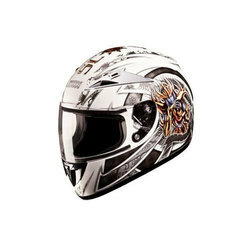 With rich industry experience and support of highly skilled quality experts our organization is engaged in providing a wide range of Designer Motorbike Helmet to our valuable clients. Offered designer motorbike helmets have high tensile strength, durability and long lasting performance. These designer motorbike helmets are manufactured with perfection for easy use by the valued clients. These designer motorbike helmets are robust in construction and also appreciated by our clients widely. 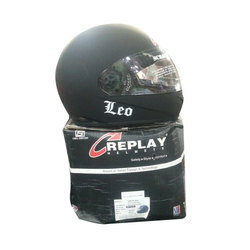 We are one of the noticeable providers of a quality grade array of Replay Leo Full Face Helmet for our valued clients. The offered replay leo full face helmets are manufactured using cutting-edge technology and finest quality raw material. These replay leo full face helmets are extensively commended by the clients for their longer service life, robust construction and optimum performance. Besides, offered range of replay leo full face helmet is known for its availability in different sizes and technical specifications.